BANGKOK, Nov 26 — The Thai government’s Centre for the Administration of Peace and Order (CAPO) has tightened security at important places after the government extended the areas under Internal Security Act (ISA) enforcement, according to CAPO spokesman Piya Uthayo. Pol Maj Gen Piya said CAPO would facilitate government work at state buildings, particularly at Parliament where the first day of censure debate is starting today. 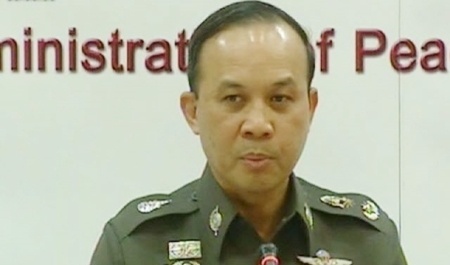 He said CAPO will implement security measures for public with patrol units assigned to inspect all districts while police have been deployed at Suvarnabhumi and Don Mueang airports and the Thaicom satellite station at Lat Lum Kaeo in Pathum Thani. Gen Piya said CAPO will negotiate with the protest leaders to regain the areas intruded upon and occupied by the demonstrators. CAPO’s legal unit was assigned to file a complaint and seek arrest warrants against protest leaders and supporters who break the law during the rallies. Prime Minister Yingluck Shinawatra announced on Monday via national television that the ISA imposition was extended to cover all districts of Bangkok, Nonthaburi, as well as Bang Phli district of Samut Prakarn and Lat Lum Kaeo district of Pathum Thani to protect state property and facilitate public convenience. Former Democrat MP Suthep Thaugsuban has led protesters to occupy the Finance Ministry while other groups occupied the Foreign Ministry and the Public Relations Department. Next articleWhose street is it anyway?